Until the start of the new century, efforts to strengthen health systems focused solely on the public sector and health programs overseen by public bodies. The private sector was sidelined in certain countries and even banned in others. 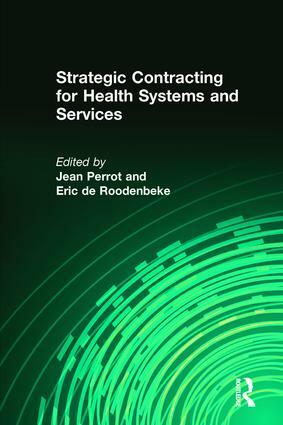 At the same time, some private-sector stakeholders readily adapted themselves to this special situation so as to avoid becoming part of a structured health system.This volume notes profound changes in health care around the world in two areas. The stakeholders involved in the health sector are increasing in number and diversifying as a result of the development of the private sector. They are also responding to a process of democratization and decentralization. These developments have been paralleled by greater functional differentiation. Various stakeholders are increasingly specializing in particular areas of the health system: service delivery, procurement, management, financing, and regulation.The interdependence of health stakeholders becomes more evident along with the increased complexity of delivery systems as these respond to changing demand. There is a compelling need to forge relationships. Such relationships are in fact emerging in developed countries and, more recently, in developing countries. They may be informal, but are increasingly organized and structured.